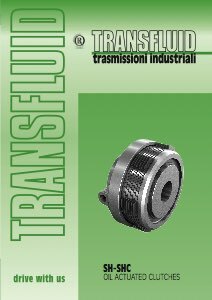 Transfluid oil actuated clutches are wet type, multiple sintered plate units designed to run in oil and actuated by oil pressure. No adjustment required for wear. Constant torque for the life of the friction plates. 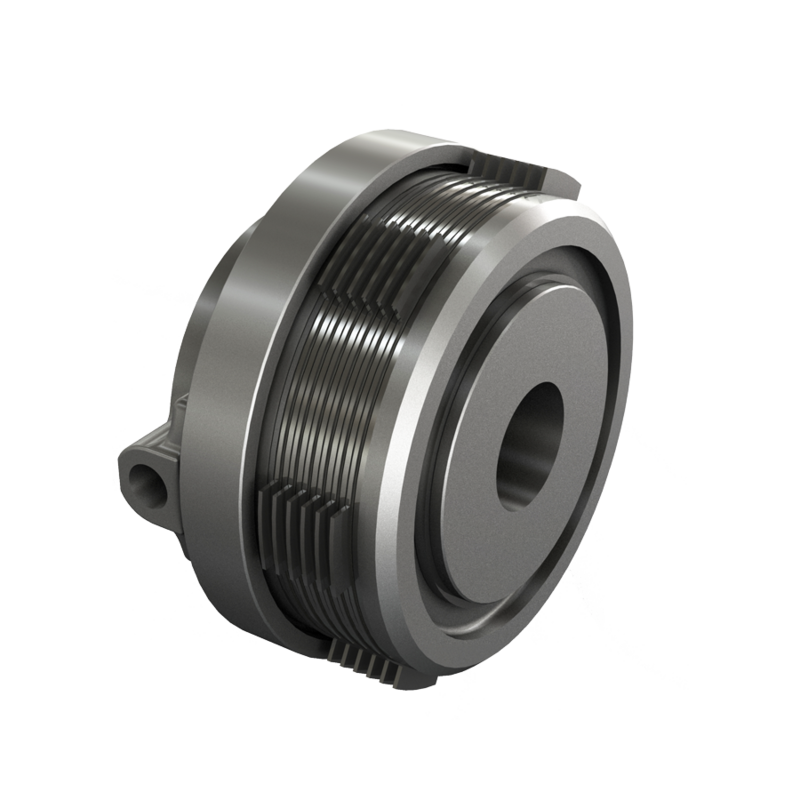 Compact size to torque capacity because the torque is not affected by worn plates and no adjustment space is required. High torque capacity because the engagement force is due to oil pressure and not based on manual operation. Easily commanded from remote location. No worn plates due to incorrect manual adjustment.